Home / DRAMA / FILM POSTERS / "The Judge" theatrical poster released! "The Judge" theatrical poster released! The Judge is an upcoming American comedy-drama film directed by David Dobkin. The film stars Robert Downey, Jr., Robert Duvall, Vera Farmiga, Vincent D’Onofrio, Dax Shepard, Jeremy Strong, Sarah Lancaster, and Billy Bob Thornton. The film is scheduled to be released on October 10, 2014 in the United States and on October 24, 2014 for the United Kingdom. 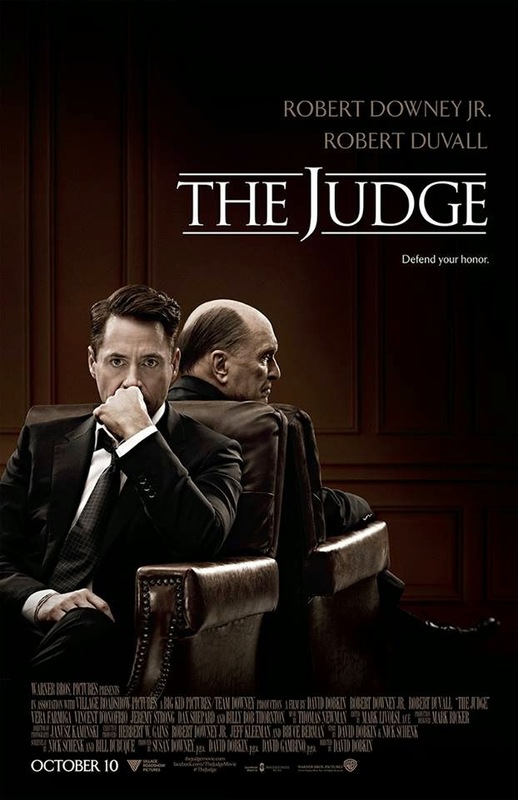 Henry "Hank" Palmer (Robert Downey Jr.), a successful lawyer, returns to his hometown in Indiana for his mother's funeral only to discover that his estranged father, Judge Joseph Palmer (Robert Duvall), the town's judge, is suspected of her murder. He has to now defend his father in court against Dwight Dickham (Billy Bob Thornton), a lawyer determined to see Joseph put away.